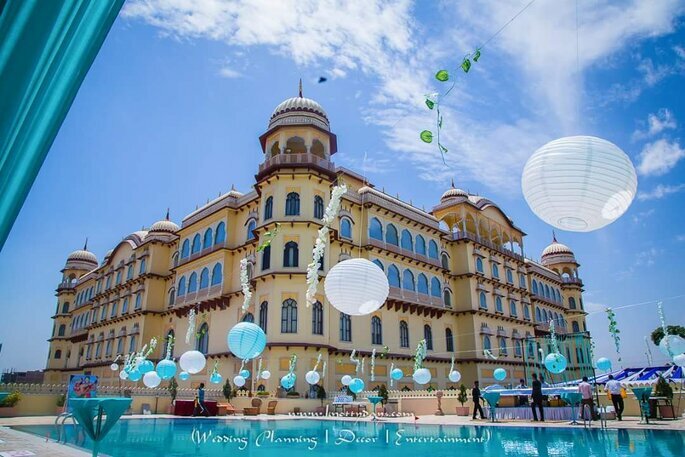 Themes can bring more life to an event and this is your wedding, it has to be the best one. Explore more about theme weddings. Indian weddings are a great celebration. There is no doubt in that. They are fun, fancy, full of food and music and are difficult to miss out on. Everybody has their own ways to bring out there wedding ideas and plans. Some prefer to choose something unique for their wedding while others just go with the crowd. India loves Bollywood. No matter how many of us still go for English movies over Hindi movies, we cannot stop ourselves from having a double blast when it comes to theme Bollywood. It will be really spectacular to see all the guests coming in the form of various characters of Bollywood which are no less than one of their own kinds. The kind of dresses everyone will wear will be one thing everyone would be excited for. Next comes the music. Nothing is as good as Hindi music, be it romantic or some peppy song from old movies. Everyone will shake their legs on the rocking music and the decoration will act like a bonus here. You can get the whole venue designed like some shooting set or some most remarkable place where some epic scene was shot. Photo booth will let everyone have a great time in their own photo shoots. This is a colorful and really interesting theme. Imagine all the people wrapping themselves up in the six beautiful colors of a Rubik’s cube. You will get to see how imaginative your relatives can get. The whole venue can be decorated with the fresh flowers of the colors of a Rubik’s cube. 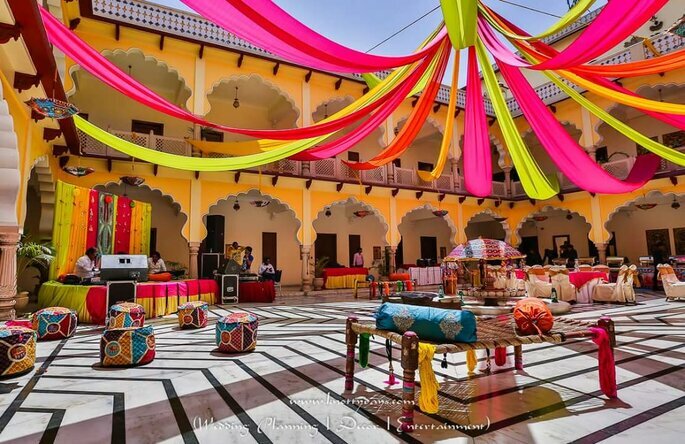 There can be a lot of new and innovative things you can experiment with this theme and this is surely going make your wedding much remember able for everyone who is attending it. How about a romantic theme on your day of celebrating love with your partner? Everything decorated in lovely colors and balloons. Each guest can be told to dress up complimenting its partner and everyone is supposed to bring a rose with them. 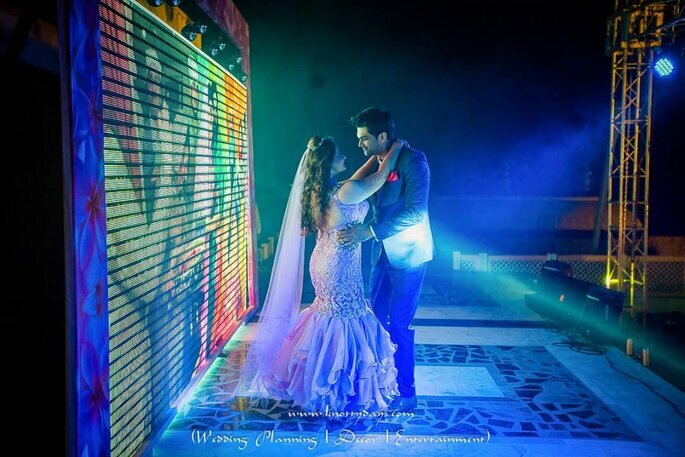 The seating arrangement can be done in the couple seating manner and music, soft and melodious. It will make everyone else relive their days of romance along with you, letting your wedding day become your own personalized valentine’s day. It sounds a bit like some college graduation party. But it can make your wedding day rocking too. All you can do is, get your stage set up like a concert stage. Get the musicians with the rock and roll look. Tell your guests to dress-up in retro style or they can wear anything but cool and stylish. You can have all kind of music played. You can also get your wedding cake designed according to the theme. 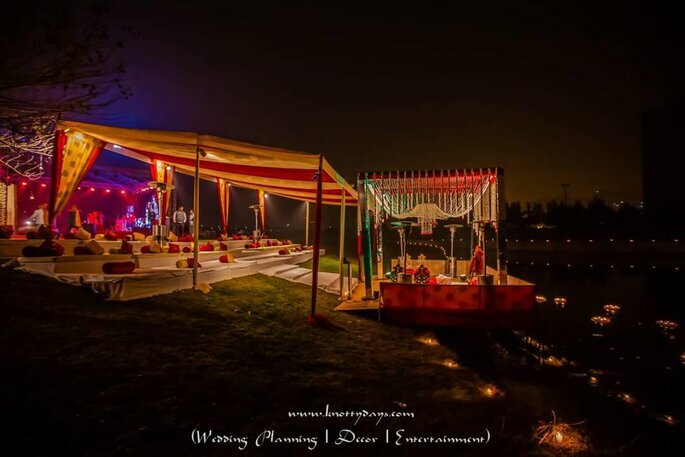 Your venue can be set up in the theme of a concert. In this way, there will be a lot of liveliness and energy in the guests and your wedding can rocked in a musical drama kind of play. India is known for its varied amount of traditions being followed in different manners by people of different states. 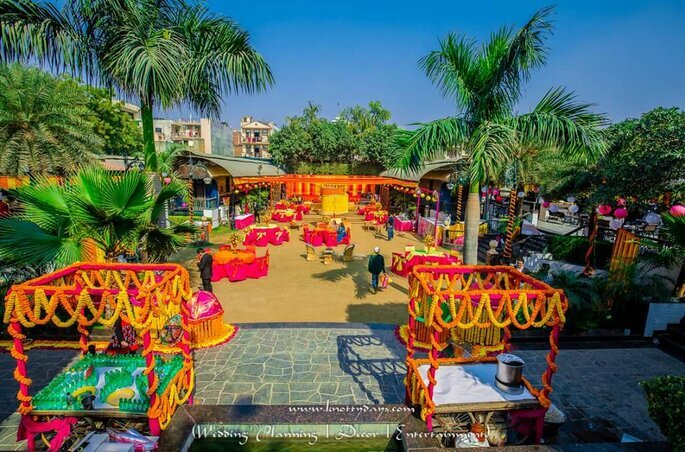 You can have a wedding theme where you represent different culture of India. Like, you can have your food stalls set up in groups. Each group representing different states of India, having their respective popular dishes. 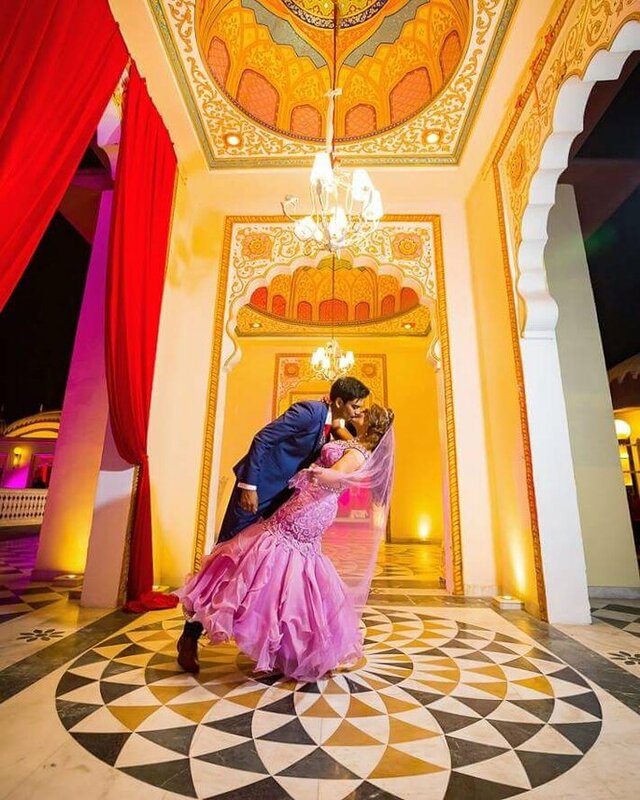 In this theme, you will have a lot of diverse ideas, your guests can come into various get-ups and there can be dance performance done of different states. There will a huge variety in everything. Get your own theme for your big way. Getting a theme is one thing and getting your wedding done successfully is another. Learn How to ruin a wedding in just 1 minute, and then how to solve it! to make sure that nothing goes wrong on your wedding.